Like many, I was recently seduced into buying a copy of Steven Pinker’s latest opus The Better Angels of our Nature: The Decline of Violence in History and Its Causes, the essential thesis of which is neatly captured in the title. I use the term “seduced” deliberately. I had no intention of reading or buying it originally. An 800-page tome, riddled with charts, and graphs, and complex statistical techniques, that tried to prove that violence was declining over time (and explain why this was happening) didn’t seem like my kind of thing. 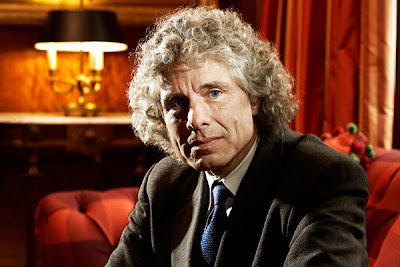 Added to this, was the fact that I’d already watched several talks in which Pinker laid out his basic argument and, so, it didn’t seem like I’d learn anything new by reading the book. But the lure of the dead trees version proved inexorable in the end. Positive reviews started to pile-up — most noticeably the one from Peter Singer — and recommendations from normally sceptical bloggers appeared. My will was finally broken a couple of days ago when I spent a good thirty minutes reading bits and pieces of it while standing in my local Waterstones. I figured if it could hold my attention for that long, while I shifted uncomfortably from foot-to-foot in a drafty bookstore, it was probably worth buying. In the end, I’m glad I did. It really does make for fascinating reading. There are so many interesting tidbits and asides that, even if one doesn’t agree with the overall thesis of the book, it’s well worth having a copy to dip in and out of. I say this despite not having read the entire thing (it is 800 pages long after all), but I feel confident that the 200 or so pages that I’ve read so far augur well for the remainder of it. Anyway, that’s enough for the book-review portion of this post. For the rest of it, I want to take a good hard look at the backbone of Pinker’s thesis, namely: his claim that violence is declining over time. While I certainly couldn’t hope to evaluate all the lines of evidence Pinker offers to support this claim in his book, I do hope to offer some meaningful comments on one aspect of his methodology. An aspect that proves crucial to much of what Pinker has to say. The aspect in question is his measuring the historical decline in violence by reference to the per capita rate of violence, as opposed to the total or aggregate level of violence. While the former may have gone down over the course of history (this is what Pinker tries to prove), the latter certainly has not (mainly because of the massive increase in population in the recent past). The question I want to ask is this: is Pinker right to focus on the per capita rate? In other words, is he right to say that violence has declined when the per capita rate has gone down, even when the total or aggregate level has gone up? I want to start by clarifying what’s at stake in answering this question. I do this by describing to two hypothetical towns and considering the differences between them. Pleasantville: Pleasantville is a town of 10,000 residents. Although it has had problems with criminal gangs and violent crimes in the past, it has recently been experiencing a decline in the number of murders per year. At present, approximately 100 people are murdered every year in Pleasantville. Adamsville: Adamsville is a town with exactly four residents. Adam, his wife Eve, and their two children. Adam and Eve have one new child every year but this leads to no overall increase in the population. Why? Because every year one of the children is murdered by their sibling. Now let’s consider the per capita and aggregate levels of violence in both towns. The per capita rate of violence (specifically, murder) in Pleasantville is 1/100 or 1%; the per capita rate of violence in Adamsville is 1/4 or 25%. The aggregate level of violence in Pleasantville is 100 murders per year; the aggregate level of violence in Adamsville is 1 murder per year. If we compare the two towns on the basis of the per capita rate, then Adamsville is clearly more violent. But if we compare them on the basis of the aggregate level, then Pleasantville is clearly more violent. Which comparison is more appropriate? And, more importantly, why should we care? I take it that we should care because violence is a proxy measure for something that is morally undesirable (or, rather, for something that has moral disvalue). In other words, if for any pair of states of affairs (A and B), there is less violence in A than there is in B, then B is less morally desirable than A. Although Pinker doesn’t say this explicitly, I think he would agree with my moral undesirability reading of the issue. After all, he thinks the decline in violence is something to be celebrated and carefully analysed in order that it can be accentuated. It’s difficult to make sense of such an attitude if it’s not driven by a belief that less violence means less moral disvalue. The fact that we care about violence because it is a proxy measure for moral disvalue actually helps to clarify the question we should be asking about Pleasantville and Adamsville. Instead of asking indirectly about the rate of violence, we should ask directly about the moral desirability of each town. To be precise, we should ask: which town is morally preferable? Is it Pleasantville or is it Adamsville? (1) If the per capita rate of murder is lower in Town A than it is in Town B, then Town A is morally preferable to Town B. (2) The per capita rate of murder is lower in Pleasantville than it is in Adamsville. (3) Therefore, Pleasantville is morally preferable to Adamsville. (4) If the overall number of murders is lower in Town A than it is in Town B, then Town A is morally preferable to Town B. (5) The overall number of murders is lower in Adamsville than it is in Pleasantville. (6) Therefore, Adamsville is morally preferable to Pleasantville. These arguments directly contradict one another. That is to say, they are counterarguments to one another. For the time being, I’ll ignore the pro-Adamsville argument and focus on the pro-Pleasantville argument that Pinker makes. A couple of words about this argument are in order here. First, although I explain it by reference to the murder rates in two hypothetical towns, this argument could stand in for the basic argument that is presented throughout Pinker’s book Better Angels. What’s interesting is that Pinker focuses nearly all his attention on defending premise (2) of the argument. This is unsurprising: Pinker is a scientist so he is well-placed to investigate an empirical claim such as that presented in premise (2). I commend him for doing so. But to focus solely on (2) is unsatisfying because it leaves the crucial normative claim in premise (1) unsupported. Pinker is obviously not unaware of this issue, and does spend some time addressing the kinds of issues one would need to address in order to defend (1) over (4). The problem is that he is all to brief in his treatment of these issues (one paragraph on pg. 47 is all I found so far). I want to correct this by giving these issues a more fulsome treatment. Let’s look first at the pro-Adamsville argument. Premise (4) of this argument is claiming that the overall number of murders is what counts from the moral point of view. Is there any moral theory that would allow us to endorse this claim? (7) A state of affairs with a lower level of bad stuff in it is morally preferable to a state with a higher level bad stuff in it. (8) Murders count as being bad “stuff”. (9) Therefore, a state of affairs with fewer murders is morally preferable to a state of affairs with a more murders. This could then be used to support (4). (7*) A state of affairs with a greater aggregate level of good stuff is morally preferable to a state of affairs with a lesser aggregate level of good stuff. The problem is, once we complete this revision, it becomes much less obvious how we can move from (7*) to (4). Why is this? Well, because (4) only focuses on the overall level of murder (which is bad), it does not consider the good stuff that might be associated with a larger number of murders. It could be that a town with a large number of murders has an even larger number of good things going on it. These good things could offset the effect of the number of murders. Indeed, this suggests an independent line of argument for (3), one that I won’t get into here. (10) When it comes to the moral evaluation of states of affairs, we should focus exclusively on minimising the level of bad stuff, irrespective of the good stuff that might thereby by affected. Call this the minimisation of bad stuff-principle (MBSP for short). Accepting that murders are bad (premise 8, above), we could indeed use this principle to support (4). The problem with doing so is threefold. First, even if we accept that murders are bad, we would have to acknowledge that there are other bad things out there too. It could be the case that minimising the number of murders increases the number of these other bad things. Thus, we can’t escape the aggregative question simply by focusing exclusively on the bad stuff: we still need to know the aggregate level of bad stuff. Admittedly, the claim that reducing the number of murders might increase other bad things may not be very likely, but it is possible and that seems to be enough to block the inference from (10) to (4). (11) Reducing the number of murders might increase the number of other bad things. Second, the MBSP could lead to absurd conclusions. In particular, it could lead to the conclusion that a world with no people in it is morally preferable to a world with 1 or more people in it. Think about it: a world with no people minimises the number of bad things that might happen more so than a world with only one person in it. I would argue that this is absurd and that a principle that allows us to reach absurd conclusions of this sort has little to recommend it. (Note: there are some who disagree with this. I have discussed their arguments before). (12) The MBSP leads to absurd conclusions. A principle which leads to absurd conclusions should be rejected. Finally, while I accept that precautionary reasoning of this kind is plausible in some instances, particular when dealing with unknown potential goods (e.g. the goods associated with speculative technology), I submit that when the potential goods are known, it loses this plausibility. When it comes to assessing relative merits of our two towns (Pleasantville and Adamsville) it seems like we are dealing with potential goods that are known, not potential goods that are unknown. (13) The MBSP derives its plausibility from precautionary reasoning, this kind of reasoning is plausible when the potential goods associated with a state of affairs are unknown. When the potential goods are known, it loses its plausibility. To sum up, the pro-Adamsville argument seems to have little going for it. This does not, however, mean that Pinker is home and dry. In addition to showing that the pro-Adamsville argument is implausible, he needs to show that the pro-Pleasantville argument is plausible. Can this be done? I’ve already suggested one way in which we could endorse the pro-Pleasantville conclusion, namely: by adopting an aggregative utilitarian principle and arguing that Pleasantville, despite its high number of murders, has a higher overall level of good than Adamsville. Note, however, that this kind of argument doesn’t endorse the per capita measurements that Pinker uses to make his case. Is there another argument that does? …[O]ne could reason that part of the bargain of being alive is that one takes a chance at dying a premature or painful death, be it from violence, accident, or disease. So the number of people in a given time and place who enjoy full lives has to be counted as a moral good, against which we calibrate the moral bad of the number who are victims of violence. Another way of expressing this frame of mind is to ask, “If I were one of the people who were alive in a particular era, what would be the chances that I would be a victim of violence? The reasoning in this second frame of mind, whether it appeals to the proportion of a population [that are victims of violence] or the risk to an individual, ends in the conclusion that in comparing the harmfulness of violence across societies, we should focus on the rate, rather than the number, of violent acts. There are the bones of an interesting argument in this passage. Pinker is saying that when evaluating the moral desirability of a two or more societies, we should ask ourselves the question: which society would we prefer to live in? In addition to this, he’s saying that when we answer that question, we’ll focus on per capita rates of violence not on overall numbers. Why? Because what matters is our personal risk of dying, not the total number of deaths, and personal risk is captured by the per capita figure, not the total number. To clothe this in a more moralistic garb, I might appeal directly to a constructivist or Rawlsian set of principles. The idea being as follows. When comparing the moral desirability of two states of affairs, we should ask: which state of affairs do I have most reason to endorse? Or, to put it another way, if I were placed behind a Rawlsian veil of ignorance, and I was asked to choose between two societies knowing only the total number and per capita rate of murders in that society, which one would I choose? The answer seems obvious in both instances: you would choose the society in which you had less risk of dying, i.e. the one with the lower per capita murder rate. (14) The state of affairs that one has most reason to endorse (from behind a veil of ignorance) is the morally preferable state of affairs. (15) All other things being equal, one has most reason to endorse the state of affairs in which one has less risk of being killed. (16) One has less risk of being killed in the town with the lowest per capita rate of murder. (17) Therefore, if Town A has a lower per capita rate of murder than Town B, then Town A is morally preferable to Town B. Now, (17) is equivalent to (1), so this argument really does give us grounds for endorsing the pro-Pleasantville argument. As well as this, it gives us reason to endorse Pinker’s methodology throughout Better Angels. But is this argument above reproach? Not quite. Note how I’ve added a ceteris paribus (all other things being equal)-clause to the start of premise (14). Why did I do this? Well, I did so because I can imagine situations in which the risk of being killed is not the overriding variable in deciding which state of affairs one has most reason to endorse. For instance, I might choose to go for real sky-diving instead of virtual sky-diving, despite the fact that the real version carries a greater risk of dying than does the virtual one. I would do so if there were other goods (e.g. exhilaration, sense of achievement, bragging rights) associated with real sky-diving that I couldn’t get out of virtual sky-diving. This suggests that the pro-Pleasantville argument might fall victim to the same kinds of problems as did the pro-Adamsville argument. But we needn’t despair too quickly. After all, one would only have more reason to endorse a state of affairs with a higher risk of dying attached to it if that risk of dying had some deep causal connection to the factor that made that state of affairs the more reasonable choice. To go back to the sky-diving example, I only have more reason to go for the real sky-diving if I think the goods of exhilaration, sense of achievement and bragging rights are deeply connected to the real activity. When it comes to choosing which town is morally preferable, I have no reason to think that a high per capita murder rate has some deep causal connection to moral goods that (a) could not be obtained in a town with a lower per capita murder rate and (b) override the moral evil of the murder rate. Thus, it would seem like the ceteris paribus clause is met in this particular instance. And so Pinker’s methodology is, as far as I can tell, appropriate. While your analysis of the ethical motivations for Pinker's focus on population-adjusted rather than aggregate violence is pretty spot-on, I think there is another motivation (perhaps more straightforward) for this focus, not based on ethics but rather on Pinker's empirical aims. It seems that one of Pinker's goals is to document (and then go on to explain) a change in the human propensity to violence, i.e. a change in a property of human beings (albeit a complex, social, emergent one). Even leaving ethics completely aside, if we're going to use some proxy of the properties we're interested in, it seems most natural to choose a proxy that is insensitive to variables we're not interested in. If aggregate violence is our proxy of individual humans' propensity to violence, total population is an irrelevant variable in this way. If we double the human population but leave human beings unchanged in other ways (the relevant variable to be kept constant here is individuals' propensity to violence), aggregate violence is going to double, which makes aggregate violence a rather poor choice of proxy for measuring the human propensity to violence if one is interested in comparing datasets with high variation in population size. The relative (population-adjusted) rate of violent acts is a much better proxy for measuring human propensity to violence in this respect because it more closely tracks the property we're interested in, namely human violent tendencies. Yes; I think that analysis is correct, and perhaps it is more in keeping with Pinker's aims as a psychologist as opposed to a moral philosopher. Still, I focused on the ethical issue since (a) that is more my area; and (b) as is clear from the quote given in the post, this is something that seems to motivate Pinker as well (i.e. in addition to the explanatory goal).